Now it finally started. 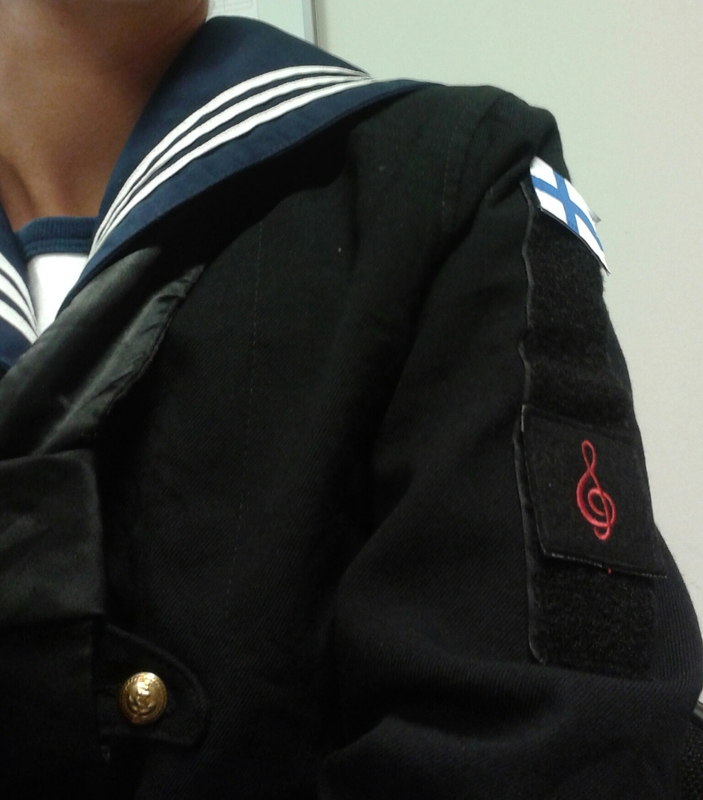 I got the first share of playing with the Finnish Navy Band. First gigs were common short events with few marches. I also didn’t expect to get back to Upinniemi, where I did the basic training period, so soon. But we stayed only couple of hours. After that we came back to Pansio and played also here for the guys who left home yesterday. Among them were other musicians and graphic artists that I got to know during these two weeks. For sure I will miss them. Now I am the only musician here and I believe people heard it and saw it when I got to practice in one class with a glass wall. The rest of the week will be a bit different. I was quite surprised when I first heard that I will get the license to drive military vehicles. But I’m quite excited to get back to the driving school after 10 years. Anyway it will make it so much easier to move to the city centre with a car everyday where the band is practicing. This entry was posted in Musician in the Army on September 17, 2015 by helipauliina. During this week everything has changed. Basic training period ended. Now I should have basic skills of a soldier. These 8 weeks were kind of long but still fast. The first big change was of course moving to the other campus. It is great to be so much closer to my home. Because of moving many other things also happened. The twelve girls’ group divided. Now we are only five who moved. We are still in the same room but it will also change after other girls begin their education on the ships. The campus is a lot smaller than we used to. But I like it. Also the color of the clothes changed finally. Yeah, I think blue suits me better in this case. The first week has been about learning the new way to live. Although we live in the same room with girls we are not in the same team and we go with our own groups. And now comes the biggest and the best change for me: I’m not just one soldier but they began to call me as a musician or a player right away. So now I begin to hold my instrument more than the rifle. It is actually interesting that they gave me one here as well. I also got to know the other musicians. They are nice and it’s a bit sad that they will end their military service in two weeks. With them I fast learned how the things are. We have to get to the city centre almost every morning to practice. It means we have to wear the “holiday outfit” every time. It is like holiday everyday! Well, not really. These are not very practical clothes for doing some of normal day stuff like making the bed in the morning. We also have more freedom but also responsobility comes with that. I still have to remember how to behave and so on even if I might get to go to eat alone. Next week is the first trip with the band. I won’t play in the Tattoo show 2015 but I will be there. I already got my share of practicing the figure marching for one player was away from the rehearsals. I Iiked it a lot and felt that I could learn fast. After this show I will also get my place to play in the band. So some parts of my day I have spent alone in the practicing room to get to know the materials. It feels quite a lot like when I was a student. Although it now feels so nice I believe I wouldn’t appreciate it that much if I didn’t do the basic training period. And there should be more of that training coming in the future. This entry was posted in Uncategorized on September 4, 2015 by helipauliina.